How does 3D printing change how entrepreneurs work? That’s the interesting topic Antonio Esparza is exploring for his PhD in creative technologies. “Traditionally, we design a product. We then convince customers, partners and suppliers of its utility and start making networks according to the product architecture. These stakeholders then develop an idea of the product and its performance that shapes the business through time. However, the flexibility of 3D printing changes all that. Having previously experimented with 3D printing himself, Antonio says this background led him to his PhD research, and to AUT. “After experimenting with additive manufacturing for a while, I realised that the implementation of 3D printing in new business creation is complicated. 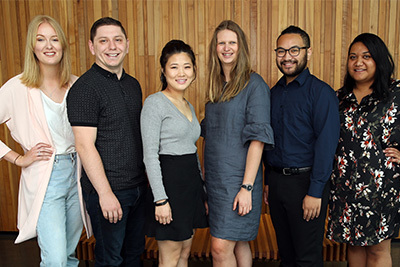 I decided to explore this further and was attracted to AUT because of the transdisciplinary nature of the creative technologies programmes. 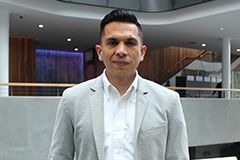 This space is not commonly found in postgraduate studies,” says Antonio who came to AUT as an international student from Mexico, supported by a scholarship from the Mexican government. He plans to use the insights from his research to inform entrepreneurs of the opportunities 3D printing offers, says Antonio who has already presented some of his findings at the EAI International Conference on Technology, Innovation, Entrepreneurship and Education in the UK, and participated in The Future Fabrication Summit in Copenhagen. The wide range of opportunities students have access to has been a highlight of his studies, Antonio says. He says he would highly recommend AUT’s Colab to other postgraduate students.